Todd Wright earned a Bachelor of Music Degree from Pikeville College (KY) and then entered Appalachian State University where he earned the Master of Music and Education Specialist Degrees. He also has a Master of Music degree in Jazz Studies from the University of South Florida. 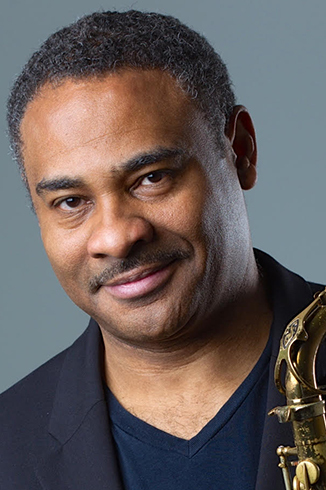 Todd Wright is in demand as a saxophonist and often serves as a clinician leading workshops of jazz improvisation. In addition, Wright adjudicates at contests and festivals. He also leads lectures on jazz history. As a studio musician, Wright can be heard on numerous recordings. His own debut recording, Begonia, was released in 1995, and Christmas Time Is Here followed in 1998. In 2001, Reflections, a duo collaboration with New York recording artist Frank Kimbrough at the piano, was released. Wearing the hat of both a performer and educator, Wright was chosen for the Outstanding Teacher Award in the School of Music for the 1996-1997 school year. In 1998, he was presented with the prestigious Aegis Community Service Award by the Appalachian Black Faculty and Staff Council. In addition, the North Carolina Arts Council awarded Wright with a music fellowship in recognition of original compositions by North Carolina jazz composers. He had entered into the competition original works from the Begonia CD. Todd Wright, an Ambassador of Jazz for western North Carolina, joined the Appalachian State University music faculty in 1990. As Director of Jazz Studies he is responsible for conducting Jazz Ensemble I , teaching courses in jazz improvisation, jazz history, jazz piano, jazz tunes, and coaching combos. He oversees the course of study for the Jazz Certification Program, and in 1993 he created the ever-popular Jazz Vocal Ensemble. Wright has performed with jazz greats Jon Faddis, Clark Terry, Richie Cole, Louis Bellson, Bill Watrous, Buddy Baker, Peter Erskine, Benny Golson, Herb Ellis, James Williams, Billy Taylor, Nick Brignola, Donald Brown, Allen Vizzutti, Eddie Daniels, Duffy Jackson, Marvin Stamm, and many others. He has also shared the band stand with entertainers such as Joe Williams, Rita Moreno, The Fifth Dimension, and Patti Page.